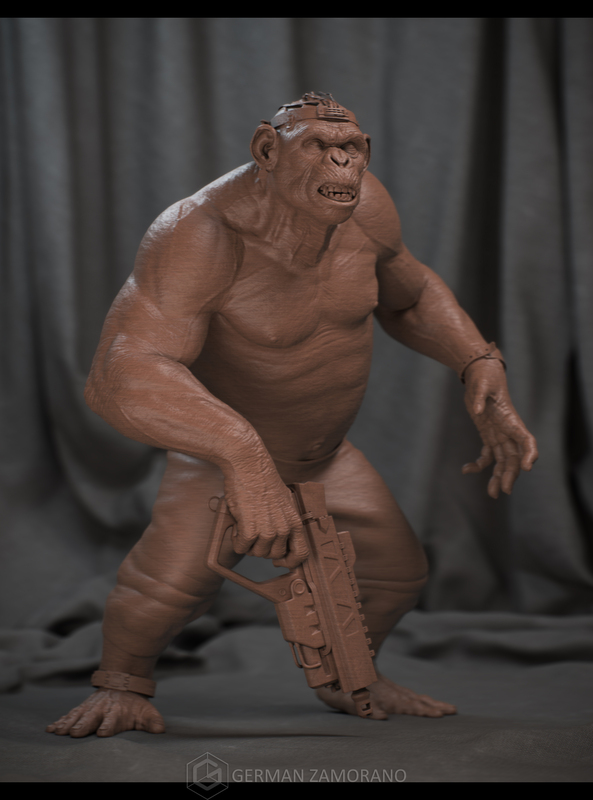 Hi everyone, here is my latest 3D artwork “Ape on the run”.He was sculpted with Zbrush and retopo was done in Max, the scene is poly modeling in max too. 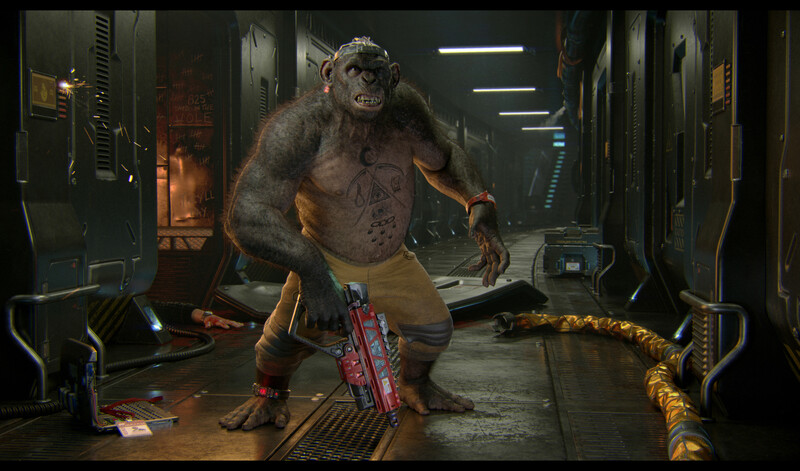 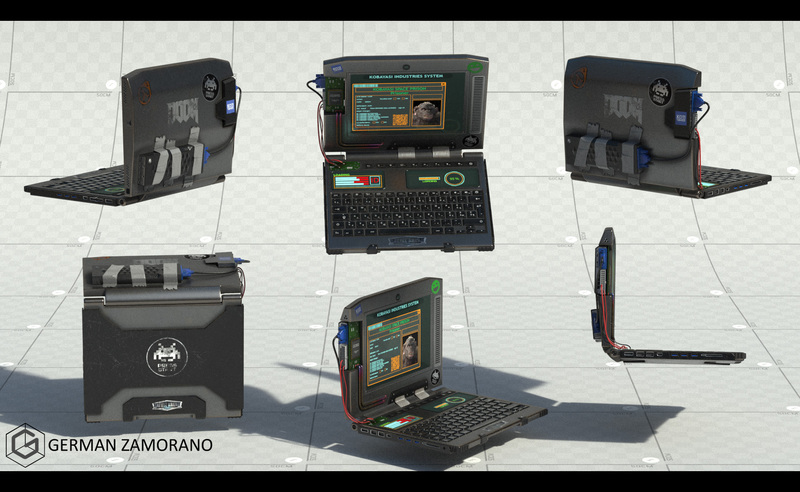 Substance Painter was used for texturing,Ornatrix was used to generate the hairs and Vray for rendering. 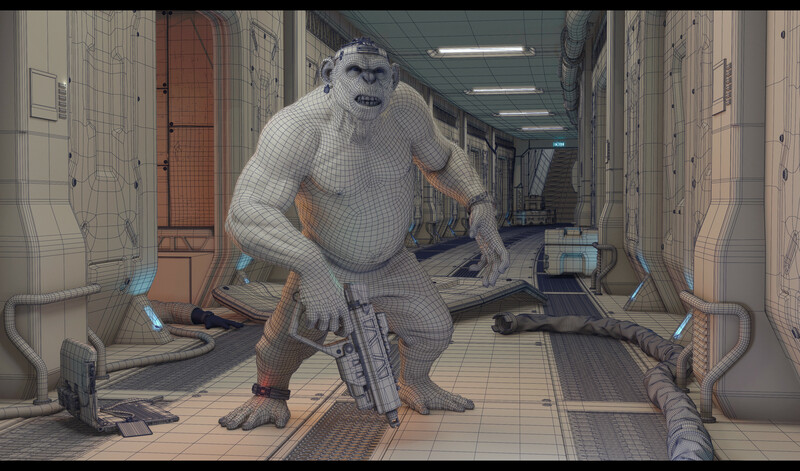 Compo and postpro in After effects.